A Steady Rain presented by Dirt Dogs Theatre Co - Printer Friendly Page - Opening Soon! - Theatre Port Houston - Theatre Auditions News and more! Date 2016/7/12 8:30:00 | Topic: Opening Soon! 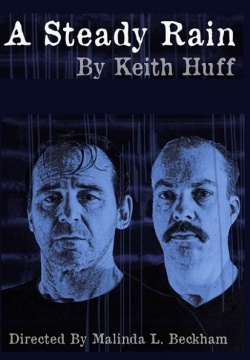 Playwright Keith Huff has also written for and produced the award winning Mad Men and House of Cards. A Steady Rain opened on Broadway in 2009 with Hugh Jackman and Daniel Craig. Thursday, Jul. 28 at 7:30 PM (There will be a talkback after the performance on July 28). This performance has an estimated run time of 90 minutes with no intermission.